Door pull handle Hoppe E5519FD-2 series . With wood decorative element. 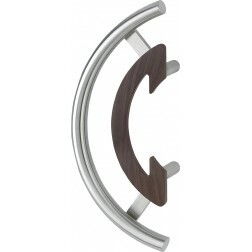 Hoppe pull handle made of stainless steel and decorated with wood color wengé or satin steel insert. Multiple fixing kit are available to easy mounting on any door.